Simple. Classic. That’s my motto. 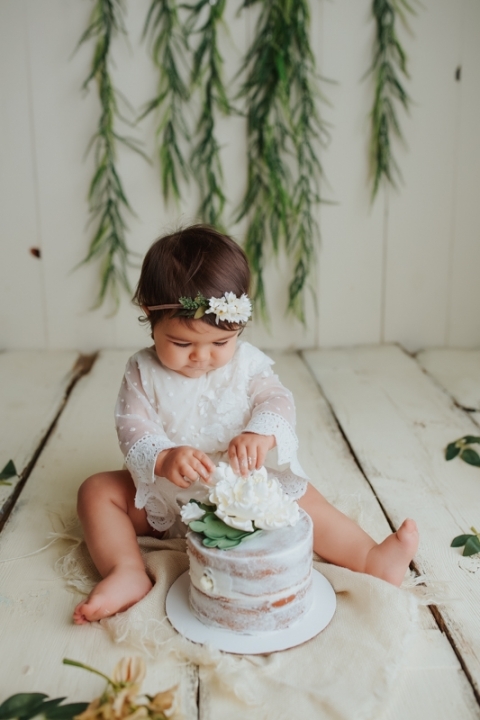 I love the vintage inspired cake smashes that I offer. Karrigan’s cake smash is one for the books!! I’ve had the opportunity of photographing Karrigan over the last year. 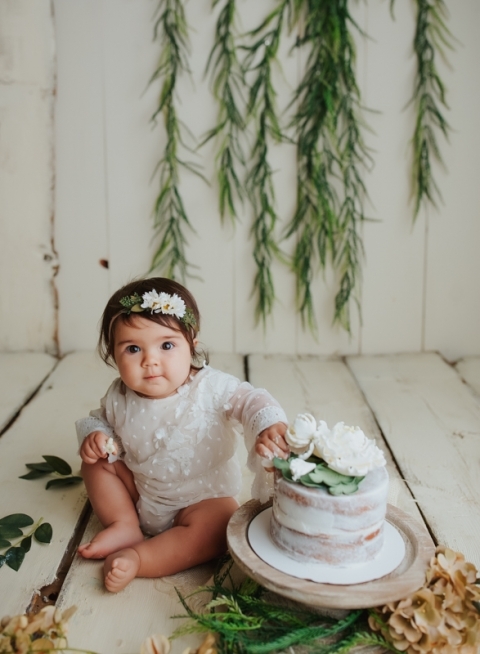 I captured both her newborn portraits as well as her sitting milestone! I will say, she was born with that gorgeous head of hair and didn’t lose a single bit of it!! 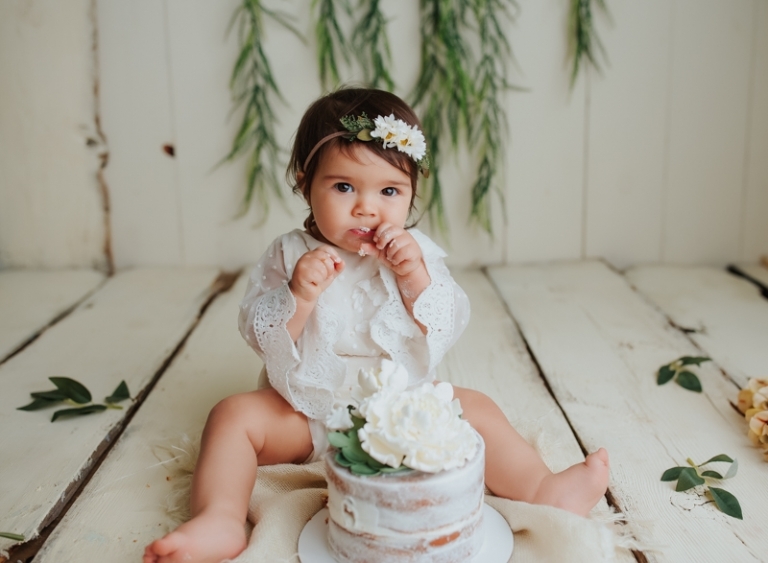 If you want to see what an angel looks like chowing down on cake then keep scrolling. Mom also had a gum paste flower made for her naked smash cake! It turned out beautifully!! 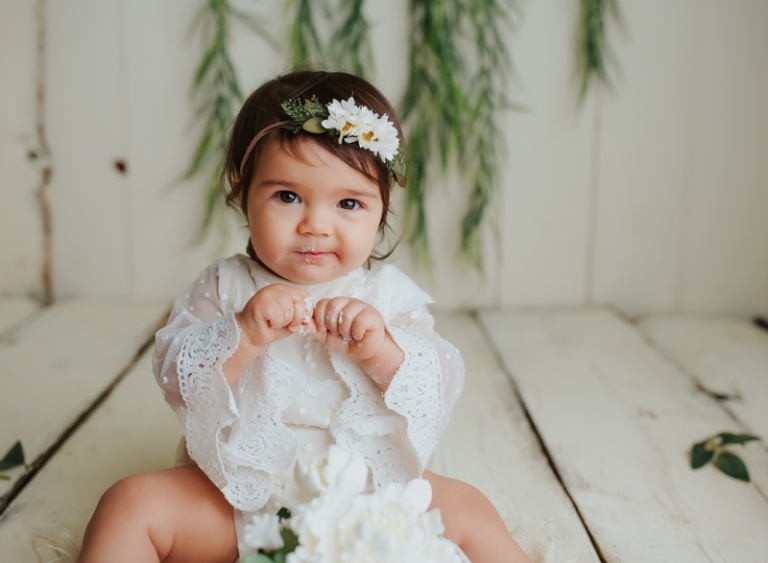 Karrigan is wearing a beautiful handmade vintage piece straight from my accessories closet for my clients, coupled with a floral headband also supplied by me! I have a full stock of outfits for your littles to wear! 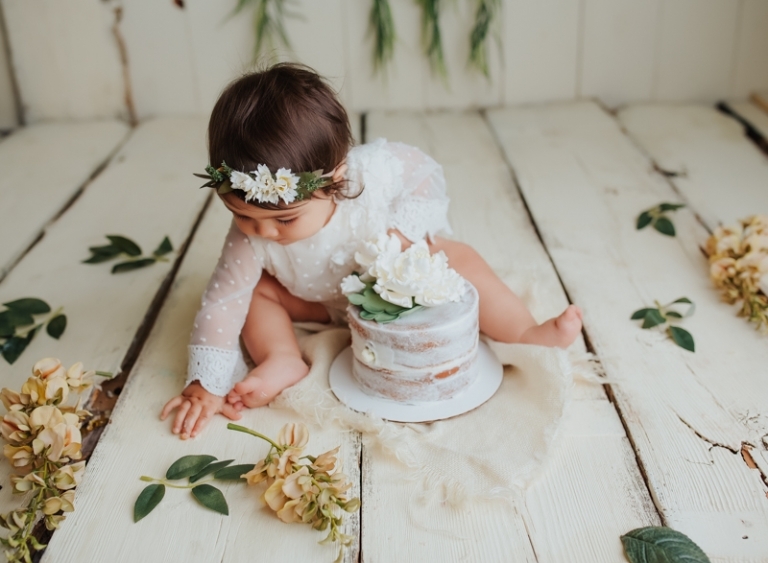 If you are interested in setting up a cake smash session, please contact me today!